The 367501L Wobble Stator Pump is designed for flows up to 53 GPM at pressures up to 50 psi. The simple design of the wobble stator makes this pump an ideal selection for groundwater remediation use in bioaugmentation, bioslurping, biosparging and monitoring wells applications. The Long-Coupled Version is available in Cast Iron with standard Buna Nitrile Stator, mechanical seal and a hard-chrome plated rotor. This popularly sized wobble pump is a standard in chemical precipitation applications in treatment and private facilities. All pumps are offered “off the shelf” from our inventory for immediate shipment. 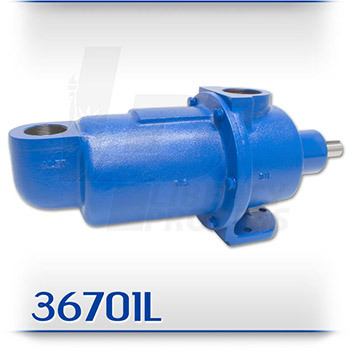 replacement parts for the 36701L are available for immediate shippment from Liberty Process.